Porcelain veneers are custom-made thin shells of porcelain that can be bonded to the front sides of your teeth to provide a beautiful new smile. Porcelain veneers are the ideal choices to improve you smile. 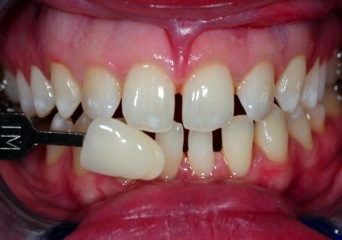 When bonded to the teeth, the ultra thin porcelain veneers are virtually undetectable from health tooth enamel. Porcelain veneers can perfectly match the shape, size, color, and translucency of your teeth. Your porcelain veneers can also be selected to be a lighter shade so that your teeth are whiter than before. After it has been determined that porcelain veneers are the best solution for you, Dr. Scotto will prepare your teeth. Preparing your teeth consists of removing a small amount of tooth enamel from the front of your teeth to compensate for the thickness of the porcelain veneers, which is thinner than a contact lens. Each smile is evaluated individually and some teeth will require little to no preparation. An impression is then taken of your teeth and sent with specific instructions to a highly specialized veneer dental lab where the porcelain veneers can be created. We use Da Vinci and Micro dental labs. Porcelain veneers are created to correct the unique problems you have with your teeth. Porcelain veneers can perfectly match the shape, size, color, and translucency of your teeth. Your porcelain veneers can also be selected to be a lighter shade so that your teeth are whiter than before. Porcelain veneers are durable and stain resistant so that with proper care they can last many years. 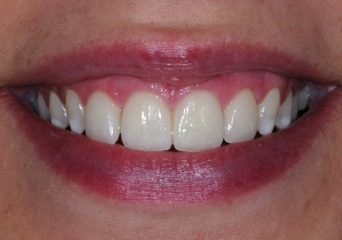 While your porcelain veneers are being fabricated, you will be fitted with temporary veneers. Many people find their temporaries to be such an improvement that they are ecstatic once their custom-made porcelain veneers are bonded to their teeth. Your porcelain veneers will be stain resistant, and, depending on the shade selected, they will provide you with a beautifully white smile for years to come. Porcelain veneers are a perfect solution for many different dental problems, and can provide you with a smile that is even, white, and straight.